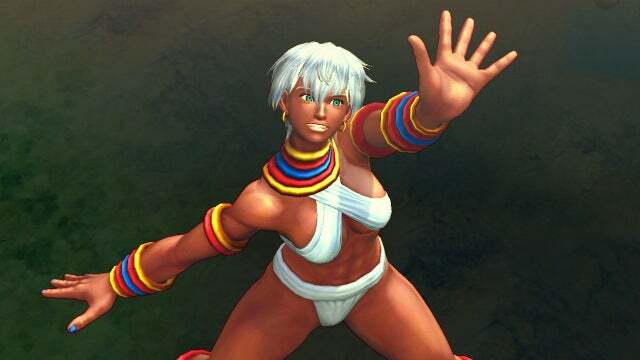 Description: The Street Fighter IV tournament evolves to a whole new level with Ultra Street Fighter IV! Continuing the tradition of excellence the series is known for, five new characters and six new stages have been added for even more fighting mayhem, with rebalanced gameplay and original modes topping off this ultimate offering. New Modes and Features: Brand new modes and features further add to the suite of gameplay options. Team Battle Mode allows players to team up in online only, elimination style 3v3 battles. The health bar carries over from each match, making it the ultimate test of endurance. Online Training Mode gives players new options to train together with their friends online. Red Focus allows players to utilize super meter to absorb multiple hitting attacks, allowing them to go on the offensive in situations that were not possible before. Delayed Standing creates new mind games and gameplay depth by allowing players to slightly delay their wake up timing. Ultra Combo Double provides players the option to use both Ultra Combos during a match, at the cost of reduced damage. Edition Select lets you duke it out across history, as players can select their favorite version of any character to create dream matchups that will determine who the strongest fighter really is. Complete DLC Costume Offering (retail or full download versions only): Receive all previously released costume DLC for the Street Fighter IV series for free, making it the most complete offering of the game ever!